YESTERDAY, November 6, 2018, marked a year since one of the darkest days in President Emmerson Mnangagwa's political and physical life. On the day, the then President Mr Robert Mugabe sacked Cde Mnangagwa who was his deputy following dramatic scenes at the so called "Presidential Youth Interface" rally held at the White City Stadium in Bulawayo two days earlier. 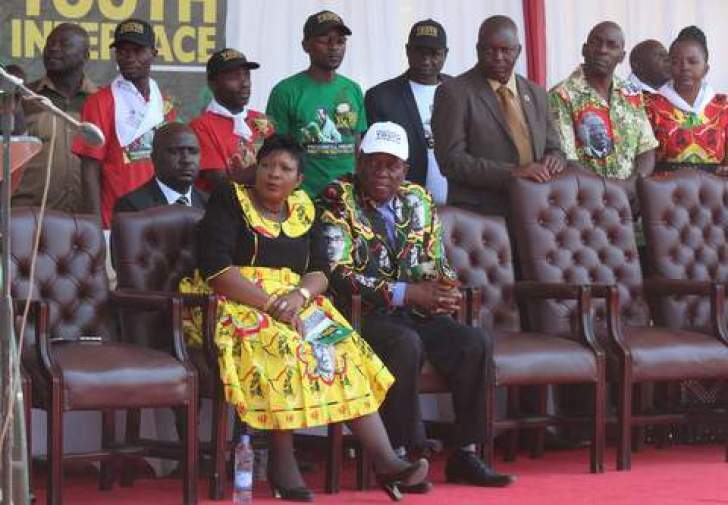 The former First Lady Mrs Grace Mugabe was heckled by party youths as she laid into Cde Mnangagwa at the rally accusing the then Vice President of fronting a faction angling to succeed her husband. The penultimate rally, held in provinces was to be followed by the tenth one in Harare but that was never to be as the youths felt they could not allow the perpetuation of attacks on Cde Mnangagwa by the G40 cabal. As it turned out, the rallies were never about interfacing and hearing the plight of youths but were a disguised initiative to target Cde Mnangagwa and other party cadres with impeccable liberation war records by the G40 cabal in their dirty succession agenda. After the heckling, an angry Mr Mugabe, in his address, gave the strongest hint that he was going to fire Cde Mnangagwa and on Monday November 6, he sacked his deputy over a litany of charges. Cde Mnangagwa was forced to flee the country into Mozambique and finally South Africa after he had been alerted that his life was in danger as there were plans to arrest and then assassinate him in custody. The sacking of Cde Mnangagwa saw the unfolding of events that led to Operation Restore Legacy, an intervention meant to arrest a potentially volatile, social, economic and political situation in the country. Zimbabweans from all walks of life backed the military intervention and marched across the country calling for the resignation of Mr Mugabe while the ruling Zanu-PF recalled him as leader of the party. In Parliament, the party also pushed a motion to impeach Mr Mugabe who subsequently resigned on November 21 making way to a new dispensation with President Mnangagwa at the helm of both the ruling Zanu-PF and country. As President Mnangagwa fled the country due to threats on his life, one of the youths arrested for heckling Mrs Mugabe at the White City Stadium, Cde Mabutho Moyo, wondered what was to happen to him as he was not sure for how many more days he was to live. "At this exact time last year, we found ourselves in a very not promising condition. I was picked up by the police on a Tuesday and told that I was being arrested for undermining the authority of the President and at that time I did not know what was going to happen with my life," said Cde Moyo, now a member of the youth league's national executive committee. "We had also heard that the then Vice President had fled the country in fear for his life. I only got a sense of hope when a colleague in the party and a member of the provincial executive Cde Munashe (Mtutsa) came to visit me the next day and showed me a statement from Cde Mnangagwa saying he would be back soon to lead us." Cde Moyo said it was in President Mnangagwa that they hoped for a better Zimbabwe but the Mugabes and the G40 cabal were hell bent on scuttling the line of succession. "He came back after a series of events to lead us and ushered us into a Zimbabwe that we had always hoped for and is working towards the turnaround of the economy to better the lives of his people. We might be having challenges now economically but those challenges are not permanent, President Mnangagwa still remains our hope to a prosperous nation," he said. A story that remains untold from the events leading to last November and hopefully one day when she is at liberty to share is First lady Auxillia Mnangagwa's experience during the trying period. Like the loving wife that she is, the First Lady accompanied her husband to the interface rallies serve for the Gwanda one and supported Cde Mnangagwa at the face of the humiliation he was subjected to by the Mugabes and the members of the G40 cabal. For those alert enough, every time Mrs Mugabe would start her attacks on Cde Mnangagwa, the Firstly Lady would gently place her hand on top of her husband's as if to remind him of their "for better or worse" wedding vows. At the Bulawayo interface rally after Mr Mugabe's address which was dominated by attacks on Cde Mnangagwa, the Mnangagwas cut a lone couple with G40 functionaries celebrating and gathered around Mrs Mugabe. They thought they had Cde Mnangagwa where they wanted and had succeeded in hitting the last nail to his political coffin but events that followed were to prove otherwise. But most importantly, through the entire episode, both President Mnangagwa and the First Lady showed class by remaining calm and never showed any emotion. And after assuming the Presidency, President Mnangagwa declared that the country moves forward, let bygones be bygones with energies being channelled towards the revival of the economy. He embarked on an international charm offensive courting investors to the country to help revive and jumpstart the country to catch up with other developing countries and in the process attracting billions of dollars in potential investment. The greatest lesson out of the November events of last year is captured in President Mnangagwa's address on his return from South Africa that never again would the country and ruling Zanu-PF be allowed to be manipulated by a few individuals as had been done by the G40 cabal, for selfish ends. Many Zimbabweans have heeded the President's call for unity towards the development of the country including some of the most prominent business people in the world. Last week, telecommunications magnate and billionaire, Mr Strive Masiyiwa, said President Mnangagwa is sincere about turning the country's fortunes while calling for the removal of sanctions imposed on the country by the West and its allies. "I have invested in Zimbabwe in the last ten years $1, 5 billion, I'm as committed to investing in Zimbabwe as I have always been, come rain or shine but concerning the change that has taken place, I believe it is real, I believe President Mnangagwa is sincere in the things he wants to do," said Mr Masiyiwa who has vast business interests in Africa and Europe. "It is going to be extremely challenging, everybody knows that, anyone who understands economics knows it's going to be tough going but I think Zimbabwe needs to be given a chance. We got to stop the politicking and focus on rebuilding this country and I'm right up there. "I think for instance, that the sanctions should be removed, there is no justification for them anymore, they should be removed and I have always been on record to say the sanctions are not justified and now we are almost 20 years into the sanctions, you can't have one country operating with its hands tied behind its back."